GREAT MILES 17,008! Heated Seats, 4x4, Alloy Wheels, Satellite Radio, Brake Actuated Limited Slip Differential, CD Player CLICK NOW! 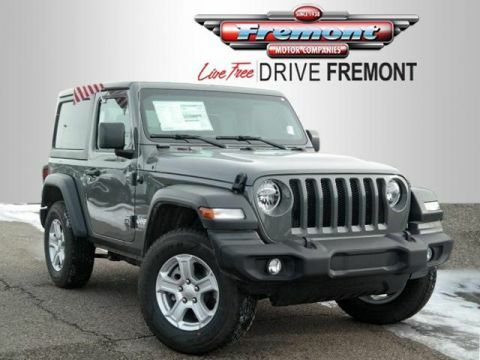 4x4, Heated Driver Seat, Satellite Radio, CD Player, Aluminum Wheels, Brake Actuated Limited Slip Differential, Heated Seats. Privacy Glass, Steering Wheel Controls, Rollover Protection System, Electronic Stability Control, Brake Assist. 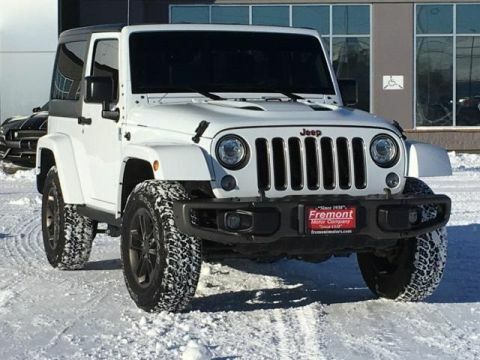 QUICK ORDER PACKAGE 24Z RUBICON RECON Engine: 3.6L V6 24V VVT, Transmission: 5-Speed Automatic (W5A580), Low Gloss Black Wrangler Decal, Red Trail Rated Badge, Red Switches, Recon Badge, Recon Package, Premium EVIC Message Center, R1234YF A/C Refrigerant, Black Fuel Filler Door, Midnight Star Interior Accents, Hood w/Power Dome, Recon Decals, MOPAR Black Tail Lamp Guards, Uconnect Voice Command w/Bluetooth, Vehicle Information Center, Remote USB Port, Tire Pressure Monitoring Display, Red Front & Rear Tow Hooks, Recon Grille, Front 1-Touch Down Power Windows, Remote Keyless Entry, Power Heated Mirrors, Power Locks, Auto Dim Mirror w/Reading Lamp, Security Alarm, Dana 44/226MM Rear Axle, Steel Rear Bumper, MOPAR Slush Mats w/Red Accents, Logloss Granite Crystal Jeep Badge, Red Seat Belts, TRANSMISSION: 5-SPEED AUTOMATIC (W5A580) 3.73 Rear Axle Ratio, Hill Descent Control, Tip Start, BLACK 3-PIECE HARD TOP Rear Window Defroster, Tinted Rear Quarter & Liftgate Windows, Delete Sunrider Soft Top, Freedom Panel Storage Bag, Rear Window Wiper/Washer, TRAILER TOW GROUP Class II Receiver Hitch, Trailer Tow w/4-Pin Connector Wiring, ENGINE: 3.6L V6 24V VVT (STD). 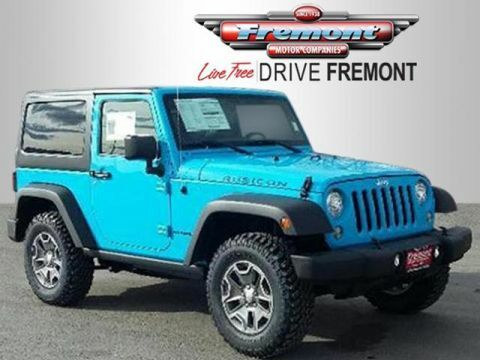 KBB.com explains Still true to its original concept after 75 years, the 2017 Jeep Wrangler continues to deliver exceptional off-road capability with ever-increasing amounts of on-road civility in an affordable package..